The term Combat service support is utilized by numerous military organizations throughout the world to describe entities that provide direct and indirect sustainment services to the groups that engage in combat. A military reserve, reserve formation, or simply reserve, is a group of military personnel or units that is initially not committed to a battle by its commander, so that it remains available to address unforeseen situations or exploit sudden opportunities. Such a force may be held back to defend against attack from other enemy forces, to be committed to the existing battle if the enemy exposes a vulnerability, or to serve as relief for troops already fighting. Some of the different categories of military reserves are: tactical reserve, operational reserve, and strategic reserve. The Women's Royal Army Corps was the corps to which all women in the British Army belonged from 1949 to 1992, except medical, dental and veterinary officers and chaplains, the Ulster Defence Regiment which recruited women from 1973, and nurses. Ceylon Defence Force (CDF) was established in 1910 by the Ceylonese legislation Ceylon Defence Force Ordinance, which reformed the Ceylon Volunteer Force (CVF) that existed previously as the military reserve in the British Crown colony of Ceylon. At the time of forming it was only a reserve force but soon developed into a regular force responsible for the defence of Ceylon. The CDF was under the command of the General Officer Commanding, Ceylon of the British Army in Ceylon if mobilized. However mobilization could be carried out only under orders from the Governor. The Sri Lankan Army is the oldest and largest of the Sri Lanka Armed Forces and is the nation's army. Established as the Ceylon Army in 1949, it was renamed when Sri Lanka became a republic in 1972. 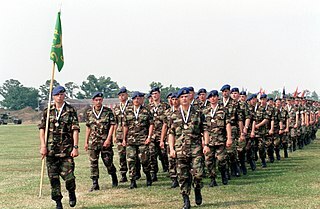 In 2010, the Army had approximately 200,000 regular personnel, between 20,000–40,000 reserve personnel and 18,000 National Guardsmen and comprises 13 operational divisions, one air-mobile brigade, one commando brigade, one special forces brigade, one independent armored brigade, three mechanized infantry brigades and over 40 infantry brigades. From the 1980s to 2009 the army was engaged in the Sri Lankan Civil War. The Sri Lanka Armoured Corps (SLAC) provides the armour capability of the Sri Lanka Army, with vehicles such as the VT1A, T-55AM2, and Type 69 main battle tanks, the BMP infantry fighting vehicle and the BTR-80, and WZ551 armoured personnel carriers. It comprises six regular armoured regiments and a volunteer (reserve) regiment. It has an independent Armoured Brigade and is headquartered at Rock House Army Camp, Colombo. The Sri Lanka Signals Corps (SLSC) is a combat support corps of the Sri Lanka Army, responsible for providing military communications, information technology and electronic warfare support. The corps is made up of a signals brigade, nine regular regiments and one volunteer (reserve) regiment. It is responsible for installing, maintaining and operating all types of telecommunications equipment and information systems. It is headquartered at the Panagoda Cantonment. The Sri Lanka Light Infantry (SLLI) is the oldest regiment in the Sri Lanka Army and the oldest infantry regiment in the army. 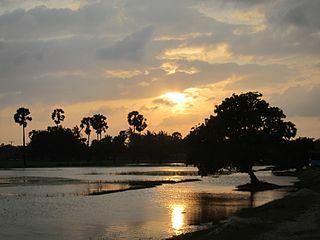 It is made up of ten regular battalions and five volunteer battalions, and is headquartered at the Panagoda Cantonment, Panagoda. Over the years it has become the most distinguished and dependable regiment in the army. The National Cadet Corps is the Sri Lankan military cadet corps and is a Ministry of Defence sponsored youth organisation in Sri Lanka. Formally the Ceylon Cadet Corps It is open to high school students on voluntary basis and has a history of more than 138 years as of 2019. The officers are teachers who act as instructors. The Cadets are given basic military training in small arms and parades.The officers and cadets have no liability for active military service but many volunteer to join the Sri Lanka Armed forces. The Sri Lanka Army Volunteer Force (SLAVF) is the principal and volunteer reserve force component of the Sri Lanka Army. It is a collective name for the reserve units and the Sri Lanka National Guard. The SLAVF is made up of part-time officers and soldiers. They are paid at a similar rate, while engaged on military activities, as their regular equivalents. This is in contrast to the Regular Army Reserve, which comprises people who have a mobilization obligation following their service in the regular army. Administration and recruitment of reserve personal is carried out by the Volunteer Force Headquarters in Battaramulla. The commandant is Major General Piyal de Zoysa Wickramaratne. The Ceylon Planters Rifle Corps was a regiment of the Ceylon Defence Force, which existed between 1900 and 1949. It was a volunteer (reserve) regiment based in Kandy, made up of only Europeans that were tea and rubber planters of the hills of Sri Lanka. The regiment deployed personnel to fight in the Second Boer War, the First, and Second World Wars. The Sri Lanka Army Medical Corps (SLMC) is a specialist corps in the Sri Lanka Army which provides medical services to all army personnel and their families in war and in peace. It is made up of 4 regular units and one volunteer unit. Headquartered in Colombo, formally at army headquarters. The corps Cap badge depicting the Rod of Asclepius. The Sri Lanka Army General Service Corps (SLAGSC) a corps of the Sri Lanka Army. The corps carries out much of the administrative work of the army. The role of the Corps is to provide logistic backing to Regular and Volunteer units by performing Financial/ Accounting Services, pay duties, legal services, running of agriculture projects and farms etc. Therefore, it is made up of Accountants, Legal Officers, Agriculture Offices, data processing officers and other ranks specialized in those fields. It is made up of a 3 regular units and 3 volunteer (reserve) units and is headquartered at its Regiment Center at the Panagoda Cantonment, Panagoda. The Sri Lanka Military Academy (SLMA), commonly known simply as SLMA, is the Sri Lanka Army's officer initial training centre located in the garrison town of Diyatalawa in the central highlands of Sri Lanka. The US Army Air Forces in WWII had major subordinate Commands below the Air Staff level. These Commands were organized along functional missions. One such Command was the Flying Training Command (FTC). It began as Air Corps Flying Training Command on 23 January 1942, was redesignated Army Air Forces Flying Training Command (AAFTC) on 15 March 1942, and merged with Army Air Forces Technical Training Command to become Army Air Forces Training Command on 31 July 1943. Continuing service after the war, it was redesignated Air Training Command on 1 July 1946. During the consolidation of Air Force Major Commands in the retrenchment of the 1990s, Air Training Command assumed control of Air University and became Air Education and Training Command on 1 July 1993—today's Air Education and Training Command (AETC), which celebrated its 75th anniversary 23 January 2017. see the Lineage and honors statement for AETC. Major General T. N. De Silva, USP, psc, SLAC is a Sri Lankan general, who was the former General Officer Commanding, 21 Division;, Commandant, Sri Lanka Army Volunteer Force, Brigade Commander Armoured Brigade and Director, National Cadet Corps. Major General Devinda Kalupahana, RSP, USP, psc, SLAC is a Sri Lankan general, who was the former GOC, 3 Division; GOC, 2 Division; Director Operations, General Staff and Commandant, Sri Lanka Military Academy. Major General Y. Balaretnarajah, VSV, USP, ndc is a retired senior Sri Lanka Army officer and former Chief of Staff of the Sri Lanka Army. He has also been Commandant of the Sri Lanka Army Volunteer Force, GOC- 1 Division, Brigade Commander of the Armoured-, 21- and 24 Brigades and Commander, Jaffna Security Forces. ↑ "Sri Lankan Army Women's Corps". About, Inc. Retrieved 2007-02-04. ↑ "An officer and a lady: You've come a long way, lass". Sunday Observer. Retrieved 2006-10-08. ↑ "Sri Lanka Army Women's Corps, Sri Lanka Army". Sri Lanka Army. Archived from the original on 2007-01-28. Retrieved 2007-02-04.